“Now therefore, our God, the great God, mighty and awesome, who keeps his covenant of love, do not let all this hardship seem trifling in your eyes—the hardship that has come on us, on our kings and leaders, on our priests and prophets, on our ancestors and all your people, from the days of the kings of Assyria until today. 33 In all that has happened to us, you have remained righteous; you have acted faithfully, while we acted wickedly. 35 Even while they were in their kingdom, enjoying your great goodness to them in the spacious and fertile land you gave them, they did not serve you or turn from their evil ways. 36 “But see, we are slaves today, slaves in the land you gave our ancestors so they could eat its fruit and the other good things it produces. 37 Because of our sins, its abundant harvest goes to the kings you have placed over us. They rule over our bodies and our cattle as they please. We are in great distress. These verses and the one’s prior to these, are said to be one of the longest prayers in the Bible. It is notable that we pray our best prayers; our most earnest prayers, and even our longest prayers when we are in a jam. “It seems to me his hands should be austerely clasped in front. “Last year I fell in Hodgkin’s well headfirst,” said Cyril Brown. 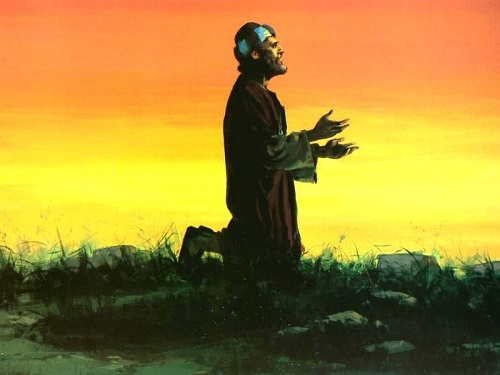 Sometimes we’re like the Nehemiah and the Israelites, who prayed their longest prayer while enslaved. Sometimes we’re like Cyril Brown, we do our best praying standing on our heads. This is uplifting and humorous at the same time Ron. For me now I’ve met him Cyril Brown is never going to grow old. Wow! That’s interesting! Thanks for sharing 🌝!